Writer-turned-director Alex Garland’s much anticipated follow up to Ex Machina has a jaw-dropping new trailer! Annihilation stars Natalie Portman, Jennifer Jason Leigh, Gina Rodriguez, Tessa Thompson, Tuva Novotny and reunites Garland with Ex Machina star Oscar Isaac. Annihilation is an adaption of the first novel in Jeff VanderMeer’s Southern Reach Trilogy. VanderMeer’s novel follows a group of female scientists who journey into a mysterious region called Area X (in the trailer, Leigh’s character refers to Area X as “the shimmer”). While in this remote territory, they discover unimaginable lifeforms, but they soon realize they might not be welcomed. The trailer promises a film that’s faithful to the novel’s premise while adding visually spectacular creature designs and a performance from Portman that seems to harken back to Sigourney Weaver’s Ellen Ripley in Alien. At one point, Portman’s character (dubbed simply “The Biologist”) fires a machine gun in front of a background that looks uncannily like a painting from Alien designer H.R. Giger. 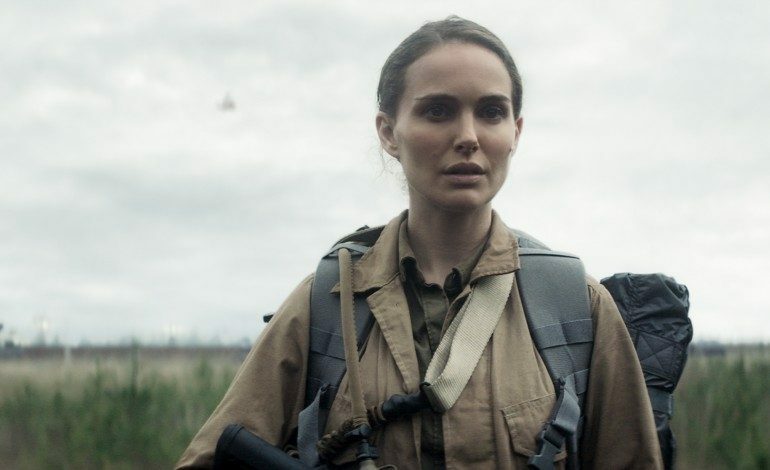 Garland knows how to craft heady, character-driven science fiction so let’s hope Annihilation is more Arrival than Alien: Covenant.